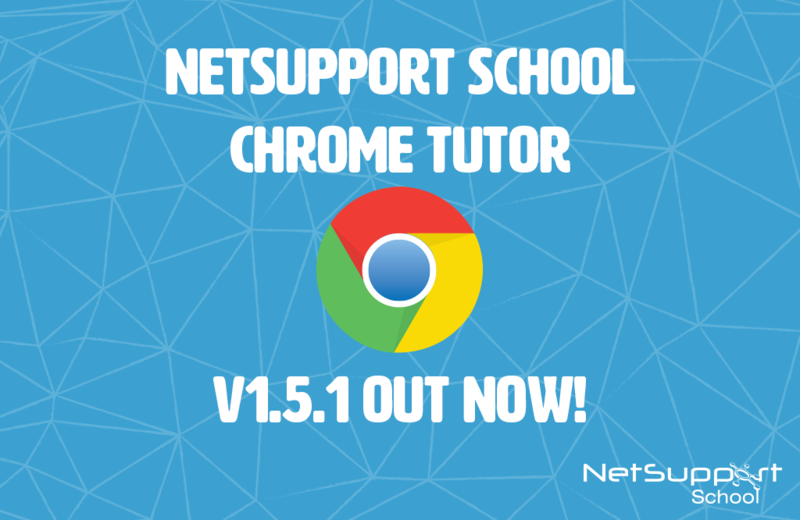 New features and enhancements have been added to the latest version of NetSupport School’s Chrome Tutor. In addition to already making it faster and easier for teachers to manage, interact and engage with students’ Chrome devices from their own Windows/Mac PC or Chrome device, the new features add more control and visual options. To help the class stay on track, in addition to creating lists of blocked/approved websites, blocking all internet access or launching a website on students’ Chromebooks, teachers can now quickly add the students’ currently viewed website to the Approved or Restricted websites lists. Teachers can conduct surveys to gauge student knowledge and understanding. Once the students have responded, the teacher can then show the results, enabling them to receive instant feedback on their progress. The survey results now show as a bar chart in the results section of the Survey tab, making it even easier to gain an overview of the responses. To help teachers only see the information they need, a newly added Show/Hide option means they can minimize the information pane displayed at the bottom of each tab view. To learn more about NetSupport School for Chrome, click here.